Born in 1898 in Kuala Lumpur, his father, Yong Ngee Chai, was one of the pioneer tin miners of Selangor later acquired interests in rubber and property. Their family home was one of the shophouses in Pudu. 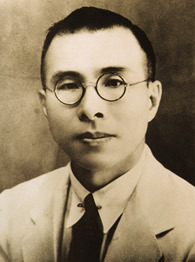 Shook Lin was educated at the Victoria Institution and after obtaining his Cambridge Senior in 1912, proceeded to England for further studies earning his law degree from Cambridge. 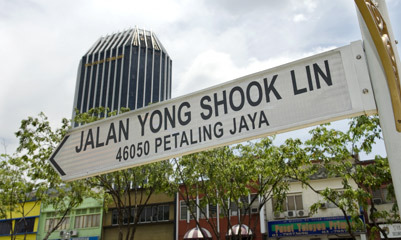 He returned to Kuala Lumpur and was called to the Bar in 1918. Apart from practising law, Shook Lin was very active in public affairs and was a member of the Federal Legislative Council, serving in its Executive Council both before and after the War. It was during the post-war period that he devoted his time unsparingly to the service of the law and the State. He entered the political scene and established himself as a prominent figure in the Malaysian Chinese Association (MCA) which at that time was a component party of the governing Alliance. He was also Chairman of the Malayan Estate Owners Association and the Rubber Producers Council. He was Chairman of the Bar Council of Malaya and was conferred the C.B.E. by Queen Elizabeth II.